Razer is just one of the few companies producing gaming laptops. Via Techradar. If you’re part of the PC gaming “master race,” then you might have noticed that the recent trends with regards to PC gaming have been split between two factions: those with desktop rigs and those who prefer laptops. Laptops have come a long way since the 1970s. Just as the desktop evolved from its built-in monitor, MS-DOS days, so did the laptops have evolved. The desktop has evolved to make its parts easily changeable and have more processing power, sacrificing versatility for bulkiness. The more power it has, the more heat it produces, the more complicated the parts needed to disperse that heat. This is why it is called “desktop,” because it will never leave your desk due to the inconvenience of trying to move it around: too heavy parts and the dangers of breaking something if a mishap happens while moving it. ASUS Republic of Gamers’ Strix GL502. Via Techradar. In contrast, laptops are called laptops because they’re supposedly made to be used on your lap. But because the power of laptops has grown over the years to nearly match their desktop counterparts, it started to produce a lot of heat as well. And because of that, people stopped putting laptops on their laps, and are now putting them on desks, sometimes even putting a ventilation accessory beneath them to help disperse the heat. Still, a laptop is lighter than a desktop rig, sacrificing the interchangeability of some of its parts. Laptops also tend to be cheaper, although they can also get more expensive than your averaged-priced desktop, though this depends on the specs that are being compared between the desktop and the laptop. 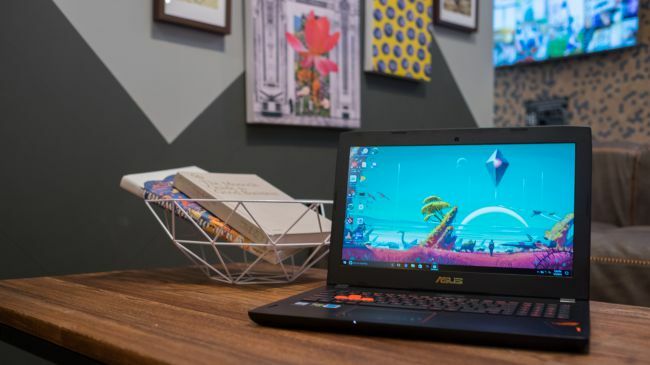 The issue between desktop gaming vs laptop gaming has existed since way back and has continued on with the release of gaming laptops, that is, laptops specifically made for playing video games. PC games tend to demand lots of memory and processing power from a computer. That’s why PC gaming on laptops have been scoffed at for the longest time because laptops just are not as powerful as PCs. That was until laptop manufacturers realize that they can put the same powerful parts of the desktop and fit it into a smaller size so they can fit in a laptop. So right now, there are a lot of laptops out there that are being marketed as high-end gaming PCs and are now being considered by a lot of younger PC gamers, especially ones that are not too keen to be building PCs from scratch. Though, price-wise, if you compare the two, desktops will still come out on top. The younger audience may have been easily swayed, but older gamers still scoff at the idea of playing on laptops for the same reason that is still valid. Laptops can’t freely change parts, for example, and PC gaming requires users to sometimes change parts every time the state-of-the-art makes innovation so that your gaming PC won’t be left behind by the technology. Games tend to use the latest technologies all the time, and they always seem geared to meet the highest bar when it comes to 3D graphics, for example. 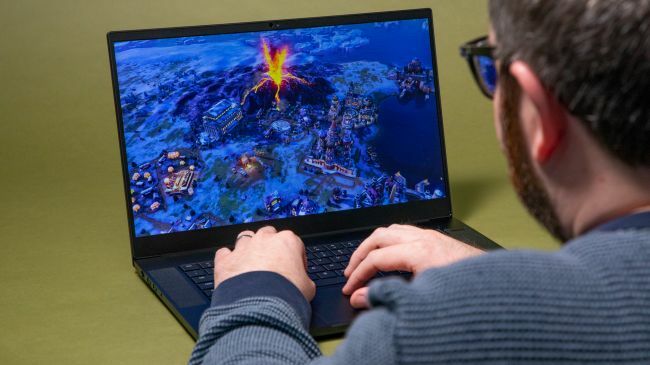 Gamers also criticize the laptop’s screen size because most gamers love to play on a huge monitor, something that will look out-of-place with a laptop. Another reason is that, because it’s small and powerful these days, it heats up faster than desktops, and that affects the laptop as a whole. Unless you’re playing in a place where the laptop can be kept cool, you will notice a small downgrade in the unit’s performance. 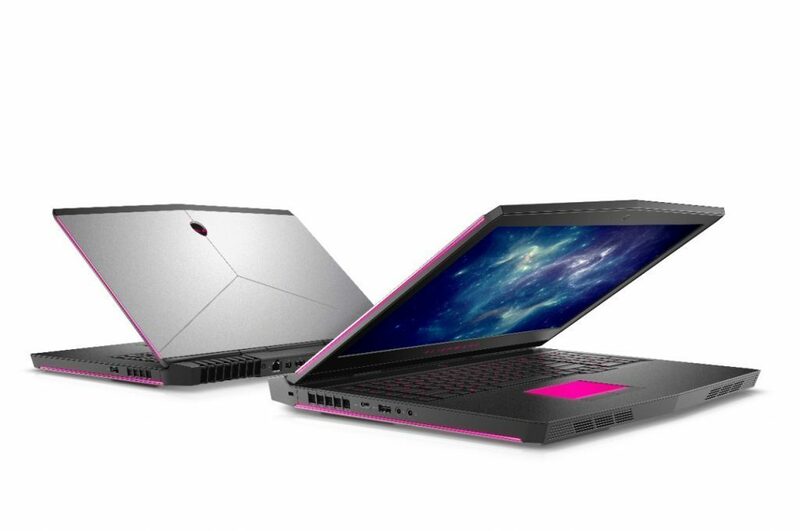 DELL Alienware laptops powered by Core i9 processors. Via Fonearena. Frankly, there’s no correct answer with this one because preferences and circumstances differ between people. So, for example, you prefer to bring your games from home to your dorm or boarding house, for example, you’ll want a laptop instead of a gaming rig. If you only play games on the weekend and have a disposable income to afford everything you might need to game in the highest settings then you’ll want to play desktop instead.